Marjorie Judith Vincent is a former journalist and beauty contestant who was crowned Miss America 1991. Vincent's parents, Lucien and Florence Vincent of Cap-Haïtien, Haiti migrated to the United States in the early 1960s; Marjorie was the first of their children to be born in America. She grew up in Oak Park, Illinois, going to Catholic school and taking ballet and piano lessons. 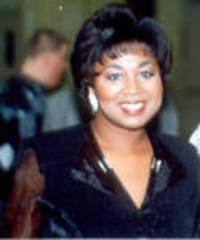 Vincent entered DePaul University as a music major, switching to business in junior year and graduating in 1988. Money from beauty pageants helped to pay for school. This webpage uses material from the Wikipedia article "Marjorie_Vincent" and is licensed under the GNU Free Documentation License. Reality TV World is not responsible for any errors or omissions the Wikipedia article may contain.